Imran Nazir (Punjabi: ????? ????) (born 16 December 1981) is a Pakistani cricket Opening batsman who plays in the Pakistan national cricket team in Test cricket, One Day International and Twenty20 cricket formats. Nazir made his return to the national team in the second One Day International against South Africa in February 2007 during Pakistans tour of South Africa. He impressed the Pakistan national selectors with his innings of 57 runs from just 39 deliveries, though he struggled to score runs during the rest of the tournament. Nazir was named in Pakistans squad for the 2007 World Cup. He scored 160 runs against Zimbabwe in Pakistans last match during the 2007 Cricket World Cup, after being knocked out by Ireland. It was the second highest score by a Pakistani batsman and the eighth highest score by any batsman in World Cup history and his 8 sixes equalled the World Cup record of Australian batsman, Ricky Ponting. It was also the highest runs he scored in List A cricket. He now remains a regular member of Pakistans Twenty20 squads. Imran Nazir is married to Amber Hafeez. His wedding was held in 2009. 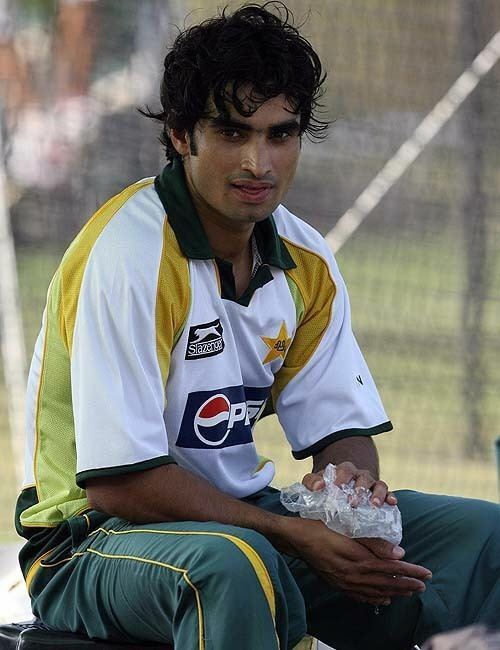 Imran Nazir has told that is elder brother was his cricketing idol during his childhood.